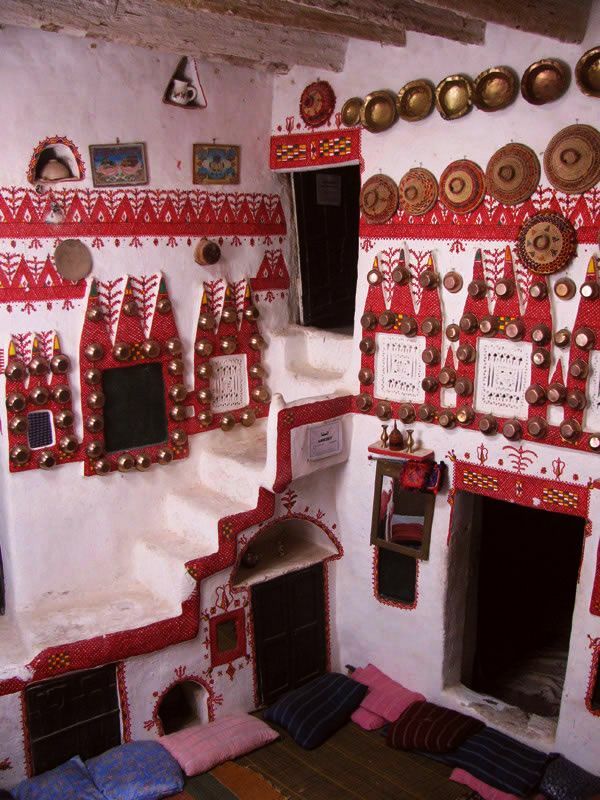 Ghadames is an oasis town in Sahara, close to the Libyan-Algerian border. 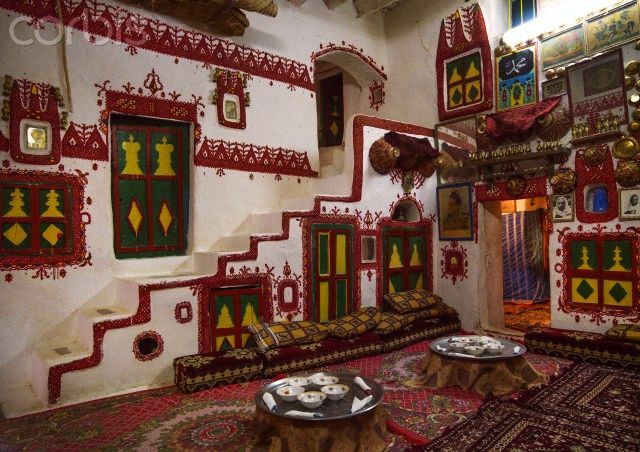 Its old city is under UNESCO’s protection, and one of its unique features are the houses, or better – interior design. 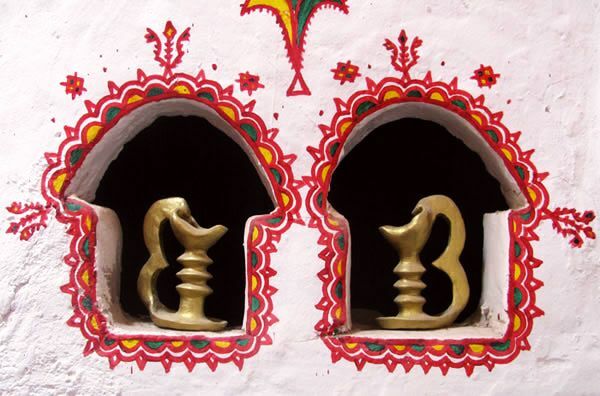 Strong colours, usually red, and intricate patterns dominate. 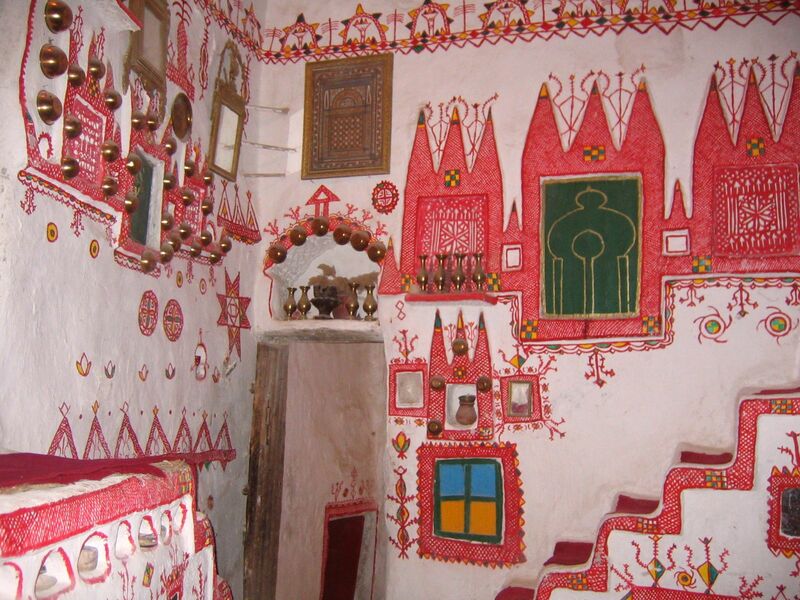 The interiors of the houses are uniquely painted with intricate Berber designs, using red paint on white walls, and decorated with hanging ornaments; giving the rooms a vibrant and fascinating atmosphere, which makes Ghadames truly unique. 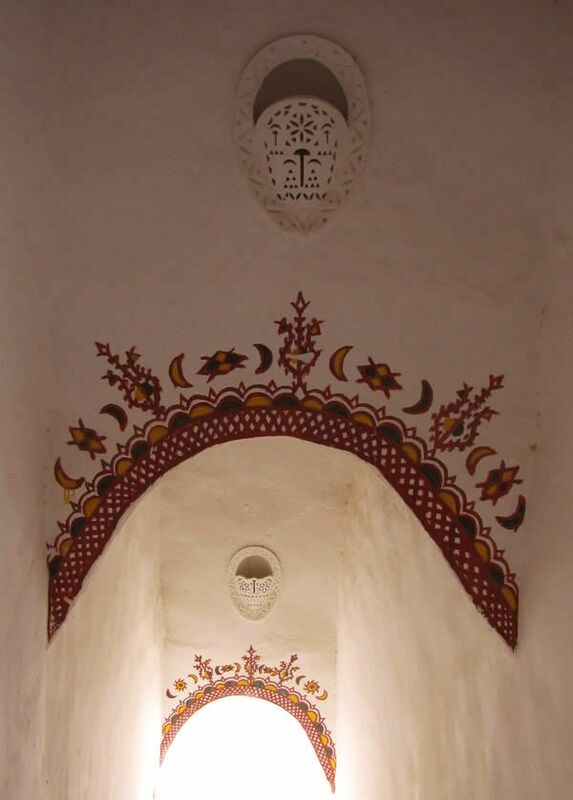 The traditional Berber designs used include the triangle, the diamond, the sun, the moon, the palm, the eye, the hand, and the Tuareg cross. For more photos and info, go to Temehu. → New (Middle Eastern) Literary Treasures. ← ‘Secret poetry’ of Afghan women revealed in a new book.